At the European level, the body responsible for the central procedure of medicines authorisation is the European Medicines Agency (EMA). After completion of the central European procedure, each new medicine undergoes national licencing procedures, which are connected to praising, reimbursement and health technology assessment (HTA). Completing all procedures requires time, in some European countries up to a dozen years: such a long wait represents a sentence of death for patients whit rare cancers and other rare and ultra-rare diseases. Over three years ago, the European Medicines Agency introduced a new project on Adaptive Pathways (AP) for medicines' conditional approval. This project aroused controversial debates within Member States, between patients, scientists, professionals, researchers, decision-makers in healthcare systems and the pharmaceutical industry. Let's try to understand better the project and its immediate consequences. What is an Adaptive Pathway? the candidate products must be provided with proposals for monitoring, collecting and using real data for further developments in medicine. It is fundamental that standards in medicine evaluation and authorisation procedure stay the same. The only difference lies in the early access to innovative therapies for patients who need them as life-saving options. Patients could have access to medicines undergoing Adaptive Pathways during late phase 2 and phase 3 of clinical trials, providing real data for further developments of a medicine. What is not an Adaptive Pathway? First, adaptive pathways cannot be considered for sure as a new procedure for medicines' authorization, and they don't simplify the standard procedures of conditional marketing authorisation. Second, they are not procedures that simplify benefits and risks' assessment. Also, it is not a regulatory tool because it uses standard procedures that exist already. 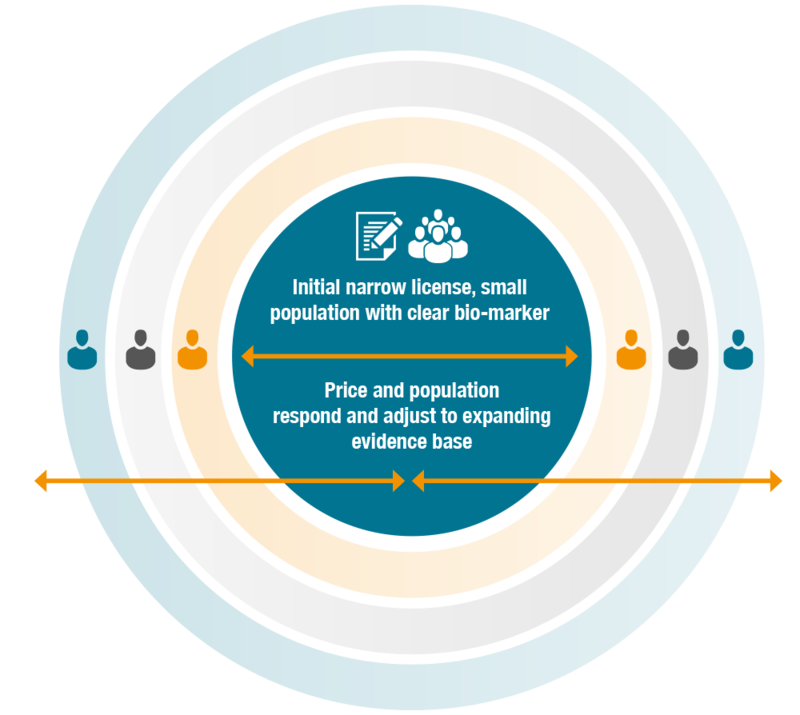 Adaptive pathways do not provide a "short-cut" in medicines' evaluation, they offer a possibility for early access to the medicine to small groups of patients with rare, ultra-rare and chronic diseases. Adaptive pathways involve an unprecedented number of stakeholders in the debate around medicines' availability at a European level. In this case, the main stakeholders are the pharmaceutical industry, the regulatory system, the academia, professionals, patients and HTA representatives. A key element to adaptive pathways are the European Medicines Agency – Health Technology Assessment parallel scientific advice meetings, which provide applicants with information about creating the proper conditions for a medicine's availability. Scientists from EMA Committees (mainly CAT and COMP) can directly present their comments and opinions about a medicine; HTA representatives' reports can influence national reimbursement procedures; patient representatives can share with stakeholders their experience with the disease and their expectations about the treatment. Representatives from the pharmaceutical industry would get the opportunity to introduce their point of view as well. All opinions and points of view should be collected to form a report on which further decision making about medicines' availability for small groups of patients can build on. This discussion can lead to exchange of information and facilitate the access to medicines for patients who have unmet medical needs. Medicines undergoing authorisation procedures normally have a detailed description of dosages and side-effects which is the result of clinical trials. Benefits and risks assessment procedures are based on these results and, consequently, conditional marketing authorisations too. In the case of adaptive pathways, the medical product used is still under investigation, hence the risk for the patient can be higher. New side effects can occur, and the medicine's effect can be different from expected. "Unknown effects" are the main reason why adaptive pathways have limited application: in fact, they are only used for defined groups of patients for whom the are no other treatments or no other options (and the medicine is expected to help them). Naturally, adaptive pathways must be supported by clinical trials (even though not for the entire course clinical trials). Above all, the ultimate decision on the acceptance of the higher risks involved in adaptive pathways procedures should belong to the patient who needs the treatment because of a non-curable disease and the professional/s who helps the patient. EMA's Adaptive Pathways project represents a challenge to all stakeholders involved. On one side, scientists and pharmaceutical companies try to fulfil HTA bodies' demands for new treatments, while patients with rare cancers (and rare diseases in general) wait for accessible treatments; on the other side, regulators tend to see adaptive pathways as a dangerous simplification of the procedure of medicines' marketing authorization in the EU. In conclusion, it is important to stress that all stakeholders involved should be strongly educated on Adaptive Pathways, to be able to understand the aims of this type of treatment in the first place. It is important to re-think clinical trials when it comes to rare diseases and to avoid creating barriers in regulation for patients suffering from such diseases. Adaptive Pathways could help find new treatments but also bring precious information on medicines' application.